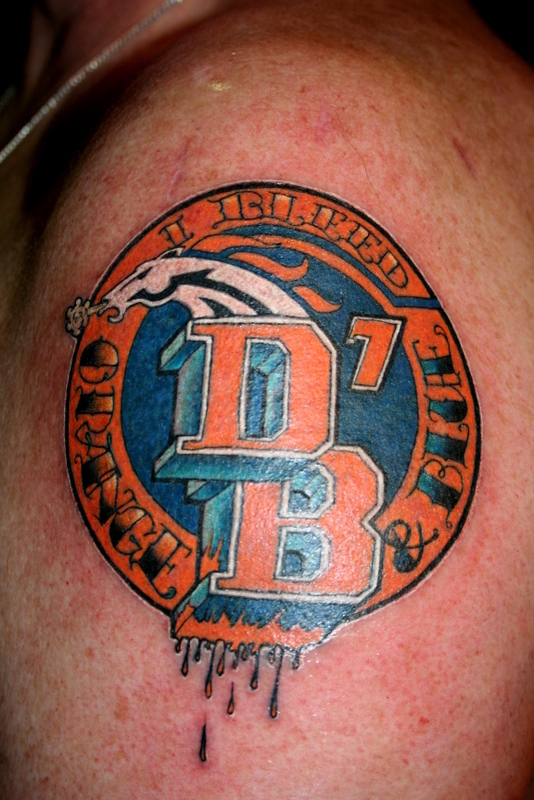 JJ just got this Denver Broncos logo recently tattooed on him by OC Tattoo Gabe. JJ titled it “I Bleed Orange & Blue”. Welcome to OC Tattoo Gabe’s Art World! My name is Tattoo Gabe. I have been tattooing all over the world since 1992. After a dozen of years and being on the road, as well as tattooing in different countries from Europe to the USA in 2005, I have settled down in beautiful Southern California.